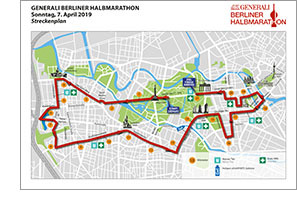 Five more weekends until the GENERALI BERLIN HALF MARATHON on April 7th, so just four and a half weeks left to complete your training preparation for Day X. By this time, your new running shoes should be worn in and your pre-competition diet and your race-day refreshments should have been tested. This year the start and finish area has been relocated to the Strasse des 17. Juni, between the Victory Column and the Brandenburg Gate near the Reichstag. Four weeks before the half marathon, a great way to test your pace is to compete in a 10K event. If you can’t find a local race at this time, going on a paced run on your own or with others will do it too. It does not have to be a precisely measured route; the distance should be between 9 and 12 km. This is a test to help you find the best pace for the half marathon. Then three weeks before the start, it is time for a more relaxed longer run on the weekend. Duration: 1:30 to 2:10 hours. The new start and finish area provides significantly more space for participants and infrastructure than the previous location on Karl-Marx-Allee. The move was necessary due to construction at the previous start / finish area. The new start is now on Strasse des 17. Juni, where the marathon also gets underway. The finish line await runners just 150 meters after they pass through the Brandenburg Gate. Before the start and after the finish, participants can hang out on the lawns around the Reichstag. Access for participants will only be possible via the northern side of the start and finish area (near the main train station). Jogging became running. A few friends became your running crew. A district became your favourite running track. Running has evolved. Now is the time to switch from your regular running shoes to the ULTRABOOST19. As urban as your running style, this new age running shoe transforms asphalt to power. Containing more BOOST in its sole than ever before. 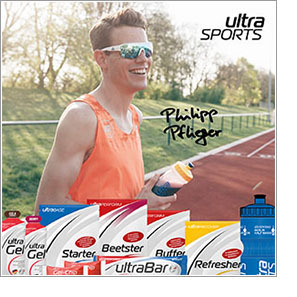 Get yourself a pair to optimize your training for the GENERALI BERLIN HALF MARATHON. Check it out here. Crossing the finishing line is the crowning glory for every runner. 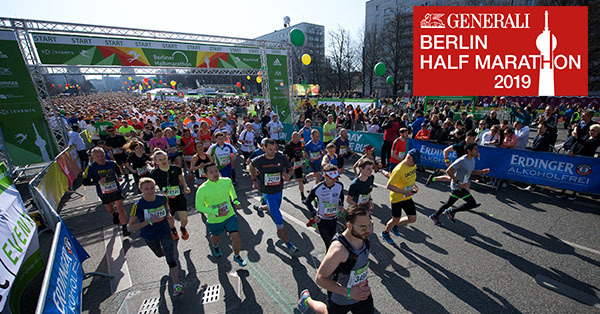 As a loyal supporter of endurance sports, the isotonic thirst-quencher ERDINGER Alkoholfrei is at the line to greet finishers of the GENERALI BERLINER HALBMARATHON and reward them for their personal performance. Those who can’t wait until the end of the race can already enjoy the fitness drink at the HALBMARATHON EXPO Berlin 2019 fair held at Tempelhof airport. As the event’s official sports nutrition partner, we will be supplying you with energy. To give you the opportunity to test our products during training, we have put together an attractive test box you can order directly from us. Part of the box is, of course, our Beetster, the official energy drink you will get along the track. The deep red power drink comes with a not-too-sweet taste of red fruits and also provides you with important minerals and plant compounds. It’s your fuel until the finish line. Is your preparation for your first half marathon on its home stretch? Then it is time to take a look ahead to the summer. 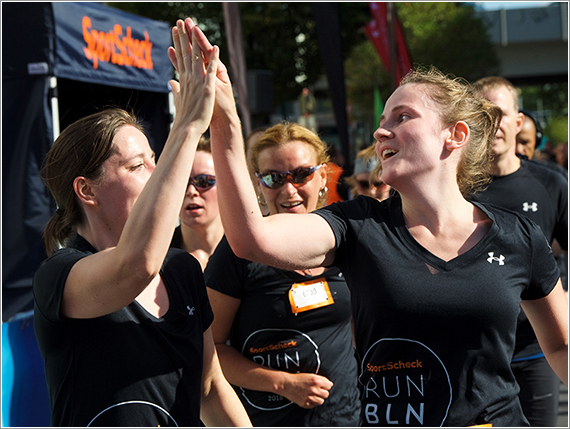 The SportScheck RUN Berlin on August, 25 is the ideal race for those who love running in the summer. The event in the southwest of Berlin is a highlight on the running calendar in the capital and provides the perfect start to the upcoming fall season— and for many enthusiastic runners to the marathon season. 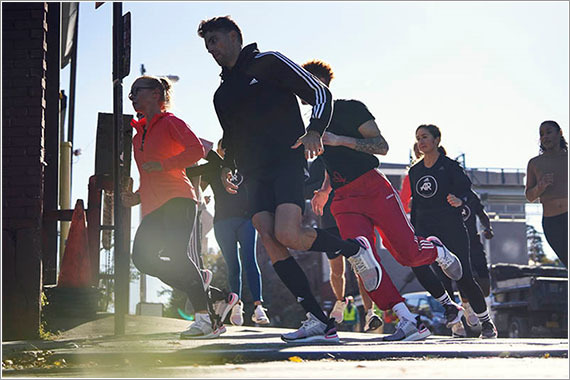 Whether you are looking for a quick 10K or want to test your form for the half marathon, you are in the exactly right place at the SportScheck RUN. Registration is already open. For a little taste, go here to the event trailer.